In other exciting book news, things are really starting to fall into place as far as promotional events are concerned. 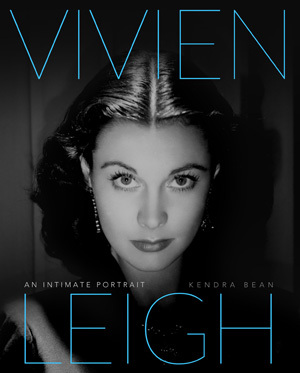 TCM has chosen Vivien Leigh: An Intimate Portrait as their Book Corner Selection for the month of October! It will be featured in the Now Playing Guide, on the TCM website, and on air during the This Month on TCM segments. Be sure to program your DVRs! Also, the launch party has been scheduled. The good people at Daunt Books in Holland Park have agreed to host the event in mid-October. I’m really excited about it and am looking forward to seeing friends, family, and fans! I’m not digging the Monty Clift book title :/ It’s a little strange. BUT CONGRATULATIONS KENDRA! This is HUGE! From the book description it looks like an academic book looking at Clift from a queer theory perspective, in which case it makes a lot of sense. Congratulations, Kendra … you deserve every bit of this! I’m so very happy for you, and I can hardly wait until the book is released. Vanessa is right … this IS huge!! This news has made my day! Thanks, Marissa! I really hope you can come to London for it! I can’t even imagine how gratifying this must be after all the work that goes into writing a book. Congratulations! You couldn’t ask for a better start with your promotions. I’m so happy for you Kendra! Congratulations!! I’m so proud and excited for you! Congratulations, it’s well deserved! Kendra, this is such wonderful news! Congratulations. As a Vivien Leigh fan I must say that all people who love her deserved this gem and her memory too. As a journalist and researcher on classic movies I am very pround of you for being who you are as a professional. The press needs people like you, so passionate and determined. I’m from Brazil but I hope to meet you some day. Also I have to say that here in Brazil will be very hard to get a copy of the book…and I want it so badly!! You did pretty good with this book!